Disclaimer: This post may contain affiliate links, which means I may earn some money if you click on one at no cost to you. I grew up hearing things like “you’ll always have a car payment” and “you should have a credit card for emergencies”, and, for 25 years, I believed those things were true. Those beliefs make paying off debt seem impossible. I mean credit card debt and car loans are the American Way, right?! It’s so common that you’re weird if you don’t have either. 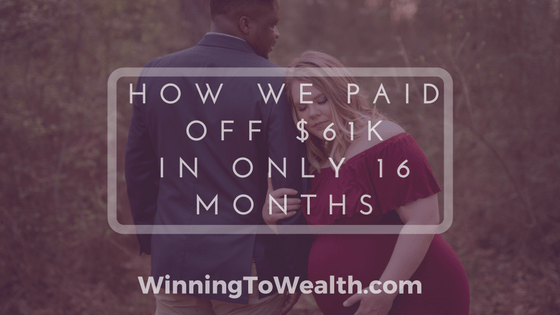 Paying off $61k in 16 months is NOT an easy thing to do. And I’m aware that some of you don’t even make that much in 16 months. That doesn’t mean that you can’t start paying off debt today regardless of your income or total debt! All it takes is a good plan and some discipline. The first thing we did was start shifting our mindset. I grabbed us a copy of Dave Ramsey’s “Total Money Makeover” book and digested every bit of it. In the book there were some terms that were pretty new to me like “zero-based budgeting” and “debt snowball”. Soon after finishing the book, we started rolling with the process of paying off debt. Being newlyweds, it was important for me to get Taylor on board. At first she thought paying off debt was a great idea, but when it was time to implement everything, things got a little tense. We had more money fights during that month than we ever had. Because I was doing the budget by myself then telling her what she could and couldn’t spend money on. That’s not fun at all, so her lack of desire to participate in the process was partially my fault. After butting heads for a while, I sat her down and had what I call a “Dream Session”. All I did was ask her what she would like to do if we could get out of debt and build some serious wealth. She told me things like: stay home with our future kids, spend some time living in Europe, the type of car she would like, and even the house we would like to live in. Then came the moment that changed the game for us. I asked if giving up a few dinners out, getting her nails and hair done all the time, and having extra spending money was worth more to her than those goals and of course she said no. After that we created our first zero-based budget as a couple for the first time. Now that we were both willing to cut back on expenses and go crazy on our debt, the budgeting process was fairly simple. We cut our cable, negotiated some of our bills to a lower payment, then sent every single dollar we could to our creditors to pay off this debt. We made sure we never fell behind on any of those 4 things. Another thing that helped us was creating a joint Gmail account. The reason for the joint account was so that we could have all of our bills sent over and both see them the moment they hit and then to also have one login for the EveryDollar budgeting app. This ensured that we were always seeing the exact same things when we logged into the account. Since I travel a lot for work, this was helpful for us to stay on the same page at all times with what we had left to spend. She didn’t have to remember to tell me she bought something out of the clothing budget because I could just see it when I logged in. Again, we wanted to be on the same page and knock this out as a team. 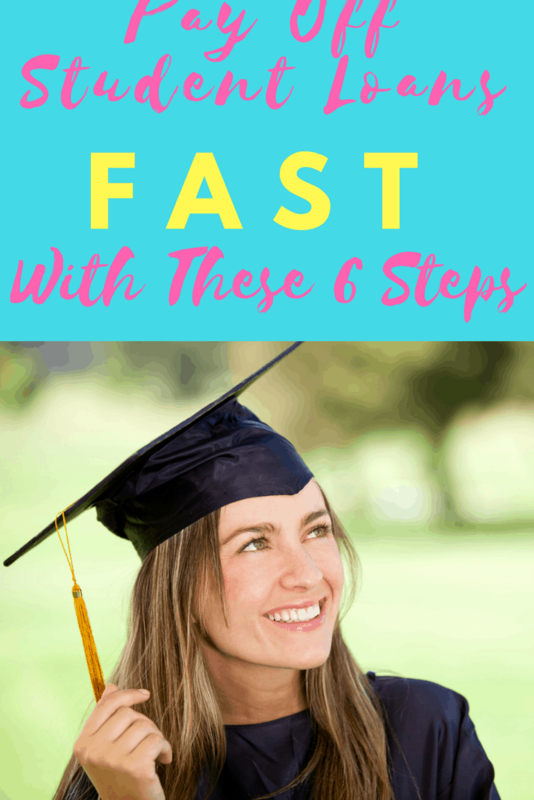 There were a few steps we took before paying off debt. We made sure we had proper insurance coverage, were not behind on any bills, and had at least one month of expenses in the bank before we started our debt snowball. These 3 things helped us weather a few storms and kept us completely focused on our goal of crushing our debt which is why we did them first. We didn’t want a medical emergency to slow our progress down because we didn’t have health insurance. I also didn’t want something like a flat tire to knock us off our game and steal our momentum. We were prepared for the small emergencies and when stuff popped up, we took care of it and replenished our small emergency fund. You wanna know what all of the unnecessary stuff you own used to be? MONEY! Once we came to this realization, we went through our house and sold every single item that we didn’t need. Clothes, shoes, furniture, etc. If it didn’t bring value to our lives on a consistent basis, it had to go so that we could get this debt out of our lives. This led to us paying off our first credit card within 2 weeks. Believe me when I say paying off that first one was an absolute adrenaline rush. 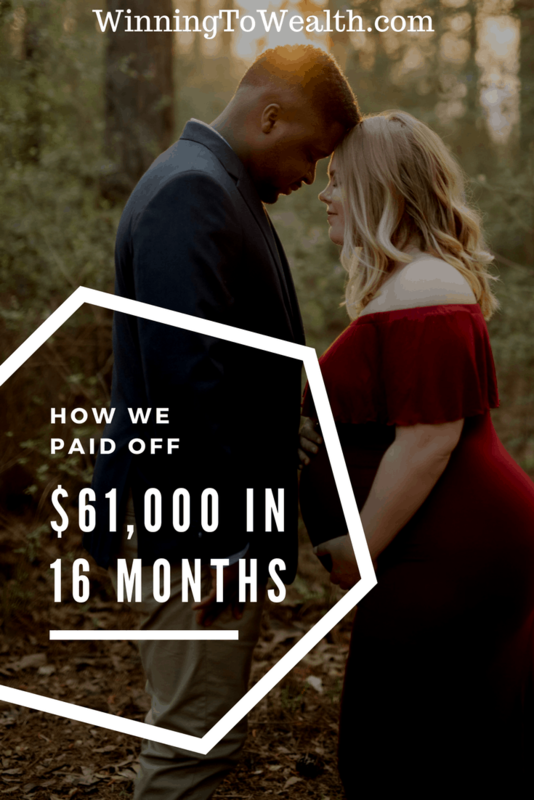 It gave us the sense that we could pay off our $61k worth of debt and we wanted more of that feeling. Shortly before we got married, I found a house that we really liked. It cost more than the apartment we lived in, but it gave us way more space to host family, a spare bedroom, and an office. 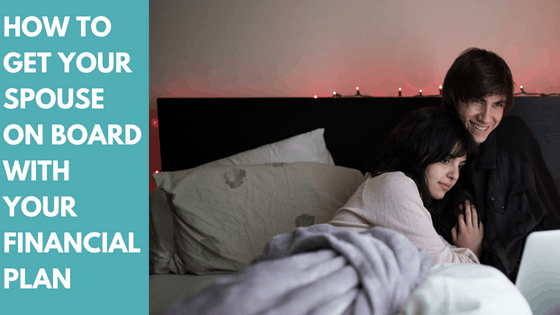 We never really struggled living there, however, all of the extra expenses like lawn care and higher utilities made it clear to us that we would be able to pay off our debt even faster by going back to an apartment. As soon as our lease was up, we moved into a place that saved us a total of about $400 per month. The beautiful part about this move was that we got to sell even more stuff to throw at our debt snowball too. Once we had the budget down and completed the first few steps, we wrote out our debt snowball. Our $61,000 broke down to 5 credit cards and 2 cars that we bought brand new. We started by listing each debt in order from smallest to largest. After we had them listed, we committed to sending every penny we could towards the smallest debt first. Anytime we sold something or someone gave us money for something, we added that amount to our snowball. As I already said, we paid off the first credit card within about 2 weeks. By the time we paid that one off, we were addicted. And that’s the power of the debt snowball method my friends. That positive momentum kept us pushing through when I lost my job. We had the confidence to keep going when Taylor had a lupus flare and missed about a month of work. KILLIN’ IT is an understatement for what we were doing. We finished our journey by paying off the cars and man! I don’t know what it is, but your cars seem to drive A LOT better once you actually own them. Don’t quote me on this, but I swear the new car smell even came back for a few days! We kept that positive momentum going until we paid off the entire $61,000- which took only 16 months. Aside from the obvious benefit of having way more money at our disposal, our marriage grew tremendously as a result of paying off debt. Our communication got better, we became more united, and we are a lot more patient with one another now when talking about money. 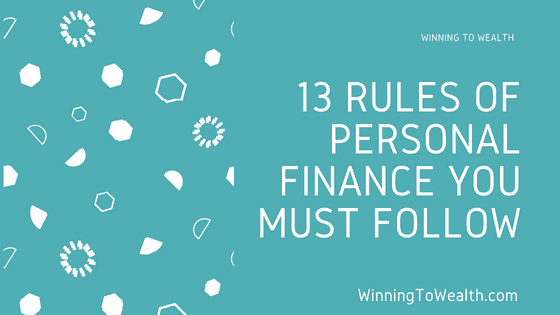 We also completely understand each others intentions behind certain financial decisions now. Being debt-free IS possible. Once you decide to start getting aggressive, there will be people telling you “you’ll always have a car payment” or “credit cards are just a way of life”. Don’t listen to them. Don’t let them discourage you. Focus on YOUR dream life and how you’ll live once you’re done. Keep in mind that it’s not a race either. 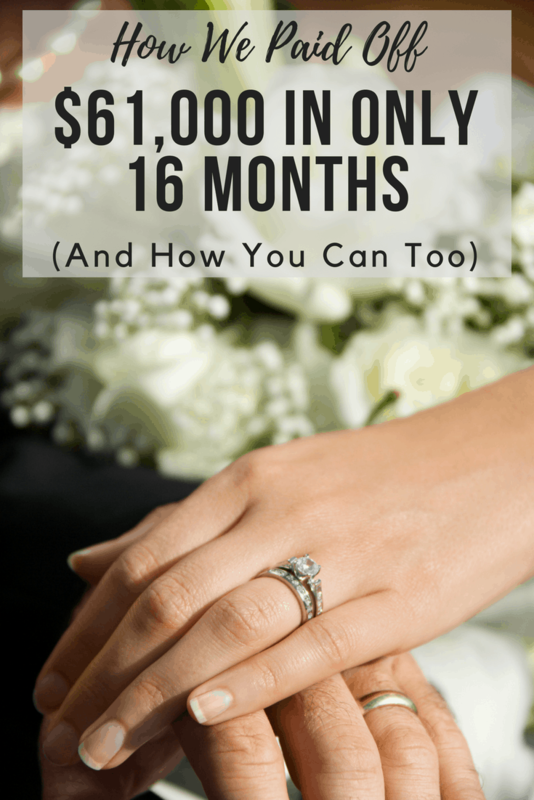 Just because we paid ours off in 16 months doesn’t mean you have to. 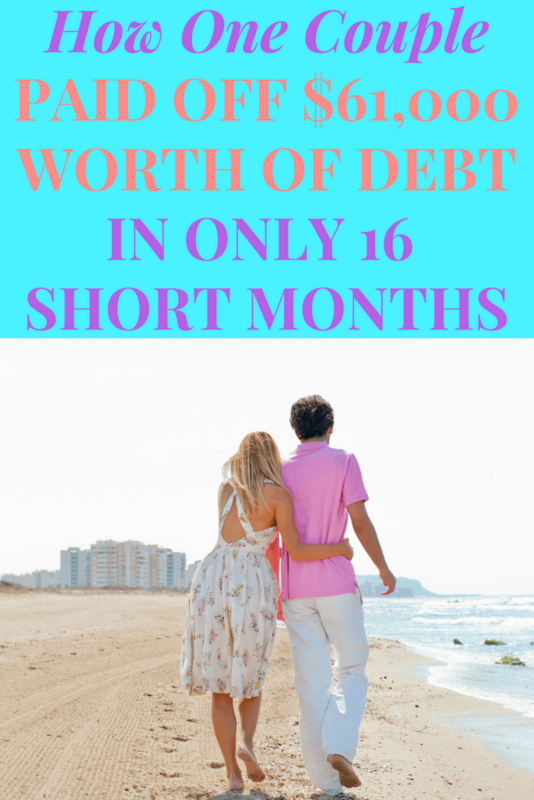 The goal is paying off debt whether it takes 16 months or 61. You can do it! 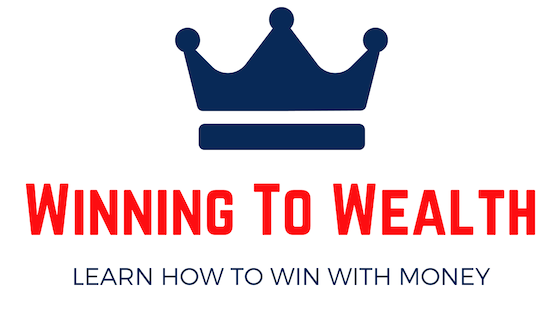 Learn how to create a spending plan that works with our 5-Day Winning To Wealth mini-course. 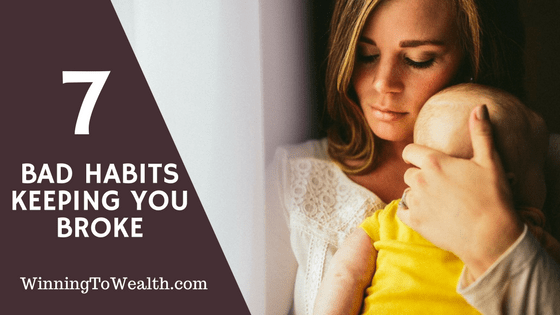 Are These 7 Financial Mistakes Keeping You Broke?